Granada Publishing Ltd(england. Used - Good. Ships from Reno, NV. Former Library book. Shows some signs of wear, and may have some markings on the inside. 100% Money Back Guarantee. Shipped to over one million happy customers. Your purchase benefits world literacy! Granada Publishing Ltd(england. Hardcover. 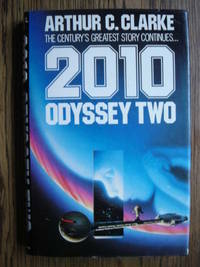 0246119128 Book is in good condition. Discolouration present. Creasing present. Fingermarks present. Cover has some wear. -- Re-Read is a social enterprise that trades in and recycles books to reduce waste, save them from landfill and provide services and activities that promote literacy, education attainment and quality of life in South Yorkshire and supports Askern Community Library. All overseas shipping is via Airmail. . Good. 1983. Granada, 01/01/1982. Hardcover. Used; Good. personal inscription on first page, **WE SHIP WITHIN 24 HRS FROM LONDON, UK, 98% OF OUR ORDERS ARE RECEIVED WITHIN 7-10 DAYS. We believe you will be completely satisfied with our quick and reliable service. All orders are dispatched as swiftly as possible! Buy with confidence! 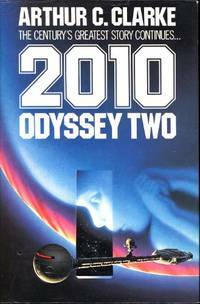 In 1968, Arthur C. Clarke gave the world "2001: A Space Odyssey", the greatest story ever written of man's destiny in outer space. 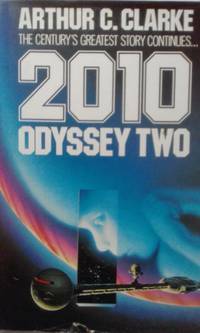 Now, in "2010: Odyssey Two", the ultimate trip continues in this 1982 hardback edition. 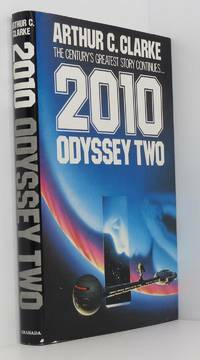 In great used condition with some discoloration and spotting o book ends and slight curling to the top edge of the dust jacket. Seller is in Australia so message for postage rates. Posted with tracking number from Mauritius - by air mail - next day – for 5 pounds. Photo image is of actual book for sale. Free postage to Mauritius based customers. Email me on gismic@intnet.mu if you wish further info on this book. Granada Publishing Ltd(england. Hardcover. 0246119128 . Very Good. Granada Publishing Ltd(england. Hardcover. 0246119128 . Good. Granada Publishing, 1982. 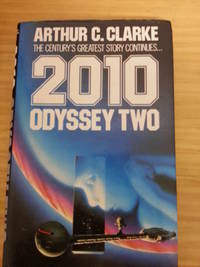 Hardback with dust wrapper. Very Good or better/Very Good. Wrapper has light edge wear . ISBN: 0246119128. Granada Publishing Ltd(england. Hardcover. 0246119128 BOOK HAS BEEN PRICE CLIPPED, . Good. Granada Publishing Ltd(england. Hardcover. 0246119128 Please allow 4 - 14 business days for Standard shipping, within the US. Thank you for supporting our small, family-owned business! . Fair. 1983-12-01. 1st. London: Granada. Near Fine/Very Good. 1982. First Thus. Hard Cover. 9.5" x 6.25" 0246119128 Previous ownership details on the front free endpaper, otherwise fine. Dust jacket price clipped with minor wear only. .
London : Granada, 1982. First Edition. Fine cloth copy in a near-fine, very slightly edge-nicked and dust-dulled dw, now mylar-sleeved. Remains particularly and surprisingly well-preserved overall; tight, bright, clean and strong. ; 8vo 8"" - 9"" tall; 216 pages; Physical description: xiv, 216p. ; 24cm. 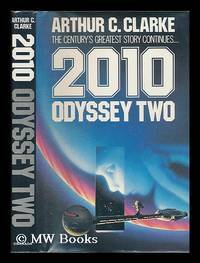 Sequel to: 2001, a space odyssey. 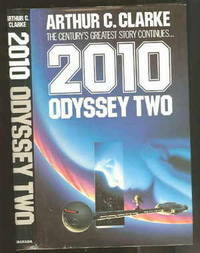 Genre: Science fiction..